A special gift pack created so that it can easily be sent to friends and family yearning for the taste of home. 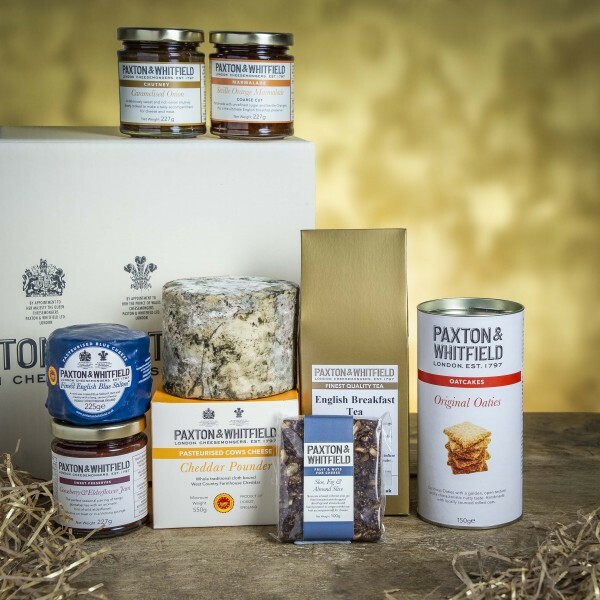 The Taste of Home is full of delicious British treats - the perfect gift for friends and family who live abroad. The contents and the packaging have been put together with export in mind. Breakfast large leaf. A blend of Assam Flowery Orange Pekoe and Ceylon Orange Pekoe. Finest quality black tea with the delicate flavour of the citrus fruit Bergamot: A light tea. Handmade with unrefined sugar and the famous Seville Orange (organic), this marmalade is the ultimate English Breakfast preserve.